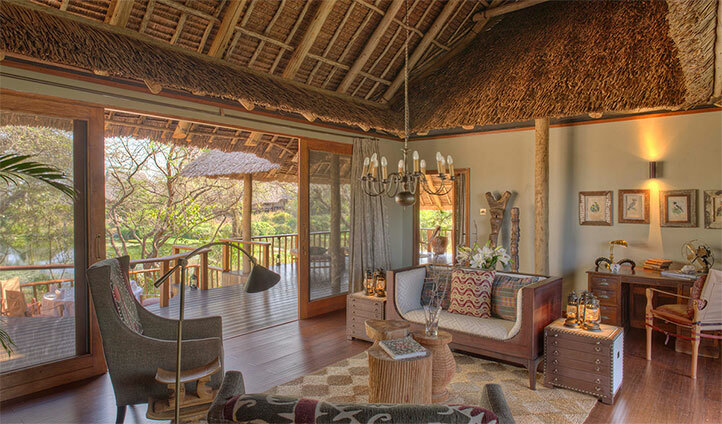 Enjoy a tailor made safari experience at Finch Hattons where luxury hospitality meets the wild of the bush. Here you’ll dine in style whether you choose to enjoy a bush breakfast in the wilderness complete with tea served in ornate antique china, lunch al fresco overlooking the camp’s watering hole or dinner in the charming colonial dining room. Activities are at your pace so enjoy game drives at your leisure, treatments at the full-service spa and hammam or feed the mind & body at the fully equipped library & gym. In the evening, enjoy a sundowner on the Chyulu Hills and then layback in the camp’s stargazing terrace for a view of the unspoiled African sky. As the only luxury camp in Tsavo West National Park, Finch Hattons benefits from unparalleled access to over 9,000 square kilometres of wild landscapes, rich with game and bird life. Although safari is generally about the animals, you’ll be set aback by the standout feature of Finch Hattons whose proximity to the Tanzanian border allows for magnificent and truly unique views of Mount Kilimanjaro from sunrise to sunset. All 16 tented suites are positioned along a series of fresh water pools used as watering holes for the local wildlife. Your suite’s large deck space allows you plenty of opportunity to sit and enjoy the view. 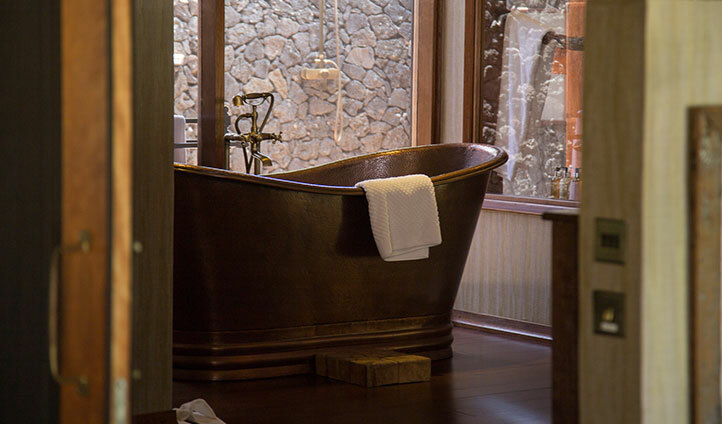 Inside, you will appreciate the open concept where indoor and outdoor showers are complemented by an opulent, freestanding copper bath and his and her vanities. For that extra bit of luxury, the Finch Hattons Suite includes a separate sitting and dining area along with a pool deck with an infinity plunge pool. This is true wilderness luxury and we love the contrast. Enjoy a relaxing massage and hammam in the opulent spa and a soak in the spa’s infinity pool where you’ll overlook complete wilderness. With the camp completely open to the wild, you can encounter anything from the elephants and leopards that roam the camp’s surroundings to the hippos and crocodiles who call Finch Hattons camp their home.